As horse lovers ourselves we also strive to offer Snaffle Bits made of exceptional quality which are made to last. This particular Snaffle Bit with Silver Overlay & Copper Inlay is also made of german silver which is widely used due to it's strong durability and unbeatable quality which is made to last. This Horses Snaffle Bit will also come with a Silver Overlay and Copper Inlay. 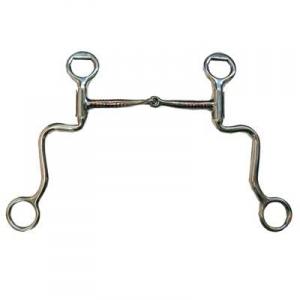 As horse enthusiasts ourselves our number one priority is to offer our customers Horse Snaffle Bit items which we believe are made to last and available at affordable prices.